The two faces of molecular gastronomy, the scientific and the culinary, represent a conceptual split that I have also experienced. Despite the culinary world’s intentions to view the field as an expression of an evolving cuisine that embraces innovation and new technique, its platform in a bourgeois marketplace had never quite fascinated me. Earlier in my culinary life, I saw little importance in delving into the processes of molecular gastronomy, simply because my head had been immersed in the traditional raw ingredients, and their natural processes. Food conceptualized to the point of being manipulated with chemicals seemed dangerous. I associated this with the industrialization of food. If we do not understand food in its raw state, I thought, how could we obscure it to beyond recognition? In this way, molecular gastronomy seemed overindulgent. It was a conversation only to be had among the elite, the people who could afford to linger on a three hour meal and discuss the manipulation of food for their own pleasure. Yet, where was the nutritional component? Where was the social justice component? I easily went down this path with cheese making. Although I have a high school level chemistry education, I would often read cheese science books with delight, trying to connect my own methods of production in France and Washington state with the scientific processes and traditions of yesteryear, comparing a contrasting sense analysis versus chemical analysis. After all, cheese has been made since the domestication of animals. The traditions were created with no scientific background. The techniques, the flavors, and textures were designed in order to preserve nourishment. I have always viewed the food world as incredibly hospitable. There is no harm in sharing trade knowledge, because food seen as art cannot be replicated. It is only the truly dedicated that can create a cheese that is respected and revered by the community. Molecular cuisine is also seen in this light by chefs. They put the food and its culinary expression at the forefront. Ferran Adrià’s, the king of molecular gastronomy, found his inspiration from the culinary philosophy, “Creativity is not copying.” Creativity comes from an intimate relationship with the food, knowing its nuance and temperament. The sharing of that knowledge breeds more competition, which continues the dialogue. My philosophy has always been that despite artisan cheese’s bourgeois market, its soul lies with peasant culture. In this way, it can be related to the heart of social movements and developments around the world. My preconceived notions of molecular cuisine were slightly unjust. I viewed the field as obscuring food rather than making its components more dynamic and accessible. If the intentions of food production weren’t to fuel and nourish the surrounding community, what good could one get out of it? The molecular cuisine community demands a certain level of exploration that challenges the status quo. In this way, molecular cuisine has the potential to enhance both the home and the restaurant, based off of the assumption that any one person can be a master of their own cuisine if they so desire. I have never sat down to a meal labeled as “molecular gastronomy.” I have been biased about culinary movements and have not stopped to consider the definitions of the cuisines I have consumed. My most memorable meals have employed molecular gastronomy techniques, but have not been based from start to finish on this narrative. I experienced an enlightening moment at San Francisco’s Canteen restaurant that was, of course, cheese related. The dish was a corn soup that was texturally dynamic, some kernels still intact, bursting with fresh sweet corn juices. A parmesan foam topped the soup, and my reaction to it would be described as “techno-emotional” by molecular chefs. 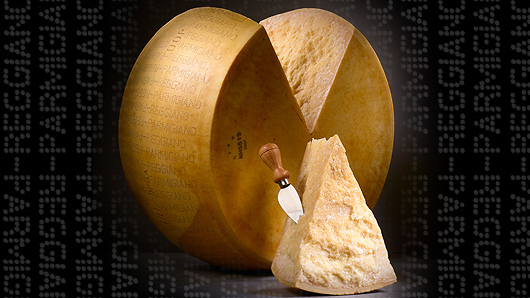 Parmiggiano Reggiano is traditionally an extremely dense cheese. Protein crystals full of flavors of spice, fruit, and nuts, make this cheese amazing for both grating and slicing thin. I would often take a cheese planer, and let a paper thin slice dissolve on my tongue, allowing the complexity of the preserved milk to blossom in my mouth. That deconstructed parmesan foam was even more effective than my cheese plane technique. By altering the heavy body of the cheese into something more ethereal, the foam was able to teach the eater about the food’s complexity without uttering a word. The senses became more engaged, and could more effectively process the potential flavors embedded within the soul of the cheese. Although I am sure not every person had the same experience as I did. Maybe some people just thought it was good food. But lurking beneath the surface of their collective food subconscious, all diners had experienced something extraordinary. At that point, I wasn’t aware that a whipping siphon was a tool used consistently by molecular gastronomists. 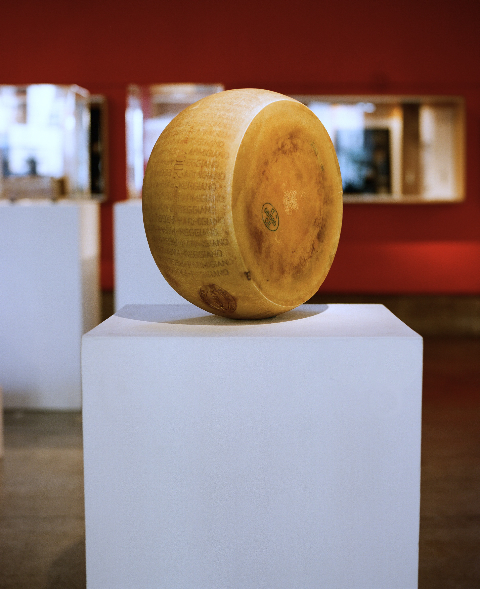 Without their wild creative inspiration, how would I have experienced the physical manifestations of my conceptual relationship with Parmiggiano Reggiano? Two other most memorable meals fused traditional with modernist cuisine techniques. L’Auberge de L’Ill in Alsace, France is a traditional Alsatian cuisine restaurant that also has an incredible cheese cart. The goat creamery where I apprenticed was featured in this establishment. During my time at the international cheese festival in Piedmont, Italy, I dined at Osteria La Torre in Cherasco. Both restaurants had a way of preserving the integrity of the body of the food, highlighting cultural, local dishes, and highlighting flavor and texture through extractions, fusions, and sauces. Ferran Adrià decided to omit the cheese cart as well as bread from his menu at El Bulli, purely focusing on molecular technique. His theory is that these staples take away from his creations. This is reflective of nouvelle cuisine as well, which states in its commandments, “Thou shalt avoid…fermentations.” One question still remains: Why do the processes of fermentation have to be seen as something separate from the culinary world of molecular cuisine? In some respects this seems to limit the mission statement of molecular cuisine as a space for innovation. Or perhaps it is time for new territory to be discovered. Tags: molecular gastronomy, parmiggiano reggiano. Bookmark the permalink. Previous post ← Urban/Local: A Cheese SpeakEasy. November 8th.